Oddly enough, I had reached the same conclusion as Robert Kaplan in the process of writing my book on the West Fork valley. It was the West Fork of White River, tumbling northward along our long valley that carved the land where I live and thus the livelihoods and experiences of the people who live here. This is Kaplan’s thesis in his book, Earning the Rockies: How Geography Shapes American’s Role in the World. Reading Kaplan took longer than I had expected. His prose forms dense thought clusters embroidered by quotes and references to a wide array of thinkers. But I was motivated soon after starting the book by his storyline which follows his journey from the east coast to the Pacific. And by the fact that from as far back as I can remember, I’ve loved geography. Oh, not exactly the study of geography—although I’ve learned to appreciate that as well—but rather the experience of it. The varying shades of dirt and sand, the rise of hills and mountains, the sudden drop of arroyos and canyons carved by quick floods and persistent rivers. Rivers, desert, plains – all if it thrills me each with its own particular mood and energy. If I had been able to travel the world in my younger more flexible years, it wouldn’t have been to visit cities or museums, but rather to see the lay of the land. But I digress. It’s not from that perspective that Kaplan examines geography’s role in the course of American history. Rather, he argues that by the unique circumstance of our nation’s particular framing by the world’s two largest oceans as well as our unique pioneer spirit, we are fated to serve as world leader. I’d have to read this book again—and his other books including The Revenge of Geography—in order to be convinced that I don’t agree with his conclusions, but as of this moment, I really don’t. …The American character of today is still to some extent a frontier character born of those solitudes [the Rockies]. Our rapacious form of capitalism, as well as the natural, unspoken national consensus to deploy the navy and air force, and sometimes even the coast guard, to the four corners of the earth, are signs of it. In this view, pioneers pushed west in order to escape the exhausted moral fiber of their European ancestors and to carve a new, more honest way of life. Pioneers faced unimaginable hardships that stiffened their spines and led to a national character found today in fighter pilots and bold inventors. Kaplan superimposes this foundation on the world of the 21st century and questions the proper role of our nation in the global community. He concludes that we as a nation are fated by our geography to be the leader in a “post-imperial world.” Delving into brief analyses of other regions in an attempt to understand the possibilities for U.S. interaction and intervention, Kaplan posits a leadership role of post imperialism for the U.S. but refuses to acknowledge any self-serving intention for such a role. Rather, by our unique position with oceans on both sides and the determined character of our people, we have pursued globally what needed to be done with the same vision as we pursued the western frontier. Although the book has stimulated intense thought, I could not escape arguments that popped into my mind against his conclusions. With random brief nods to our rampant capitalism, never in these nearly two hundred pages did Kaplan talk about the role of corporations or profit seeking-entrepreneurs in motivating modern U.S. foreign policy or the pioneers. 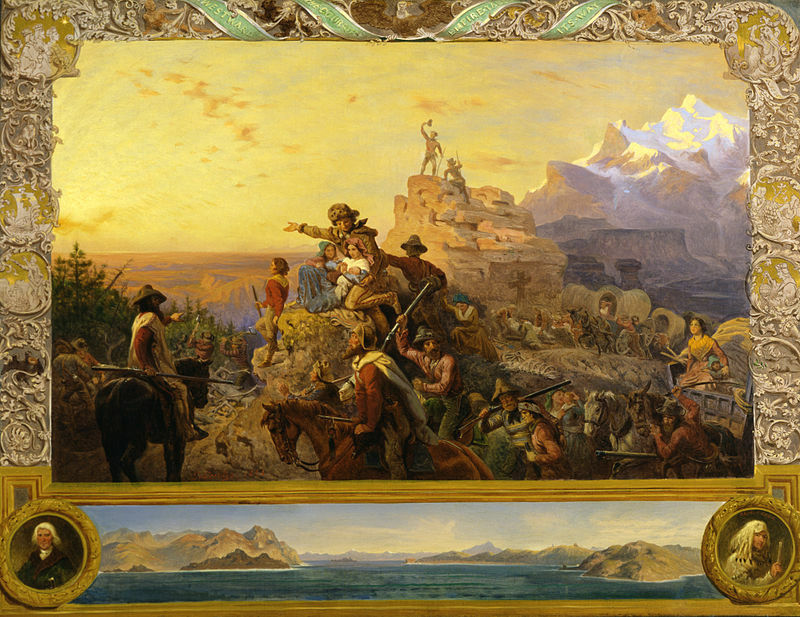 Free land, or the exploitation of virgin forests and wildlife, or the unearthing of precious minerals were what motivated the pioneers as much as seeking freedom to live outside the dictates of European kings and classism. 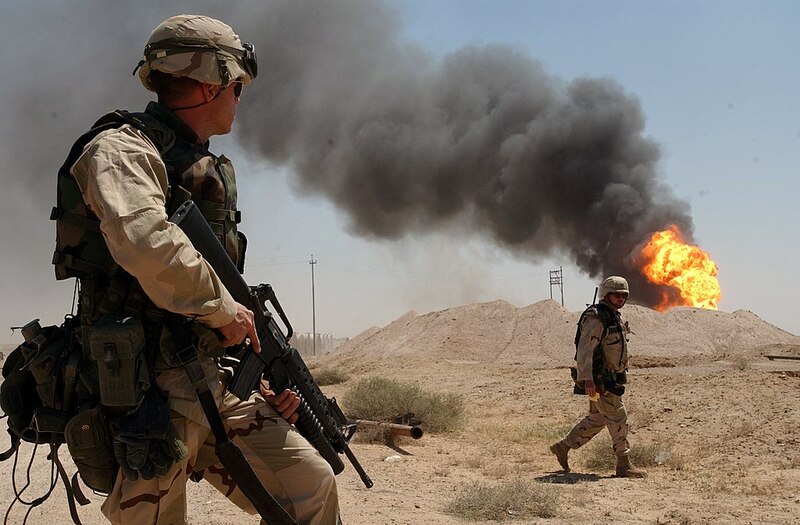 That same motivation for wealth is what governs our foreign policy today, whether it’s the protection of corporate interests in developing nascent oil fields (Middle East, Southeast Asia, South America) or in more obscure resources like the rare earth deposits in Afghanistan. We might appease our consciences about trampling indigenous tribes to build oil pipelines by the idea we’re bringing them the wonders of modern civilization, but it remains to be seen whether modern civilization is superior to millennia-old sustainable traditions. My limited scholarship on these topics can’t stand against the background of an author and scholar of the stature of Robert D. Kaplan. I’d have to read all seventeen books plus the works of other knowledgeable scholars to even begin to claim any authority. But I’m discouraged by his failure to discuss even for one paragraph the role of wealth-seeking so intrinsic to the American experience or the influence of corporations in our imperialism. His assertion that our worldwide deployment of warships and air power is basically a function of our benign responsibility and exceptionalism strikes me as outrageously self-serving. What destroyed the Indian was not primarily political greed, land hunger, or military power, not the white man’s germs or the white man’s rum. What destroyed him was the manufactured products of a culture, iron and steel, guns, needles, woolen cloth, things that once possessed could not be done without. But Kaplan’s work also forces me to reassess what I’ve been taught throughout my lifetime about our role as a nation. I equivocate on whether to accept that our system of governance is the most enlightened in the world, but I can’t call to mind one that seems superior. I also can’t deny that we enjoy the highest standard of living and that our wealth, indisputably ill-gotten in many ways, has still been a life-saving resource to endangered, starving or sick people around the world. I can’t ignore the accomplishments of our technology in creating a global culture joined through the Internet, telephones, and television which in many ways may serve as the ultimate means of moral arbitration. I’m bemused by Kaplan’s assertion that our national character and world role stems from our unique continental configuration in having an ocean both to our east and our west. But so does Mexico, Guatemala, Nicaragua, Costa Rica, Canada, South Africa, Great Britain, Italy, France, India, Australia, New Zealand, Japan, and more. Could it be that the wealth-building resources of these other nations had long since been exhausted either internally or by other empires before the modern age? Why doesn’t Kaplan acknowledge that the American colonists stumbled onto a continent virtually untouched by human exploitation and it is from that harvest of Nature’s bounty that our wealth was captured? Why doesn’t he talk about what might happen when our soil, rivers, and forests are as decimated as those that used to undergird the wealth of Europe or India? No matter my arguments at various points in his work, I’m glad I read it. I will read it again. Kaplan’s previous positions as national security chair at the U.S. Naval Academy, as a member of the Pentagon’s Defense Policy Board, and a senior fellow at the Center for a New American Security means I need to know more about what he knows and how he thinks if I hope to consider myself informed on our nation’s foreign policy. This no doubt has been the rationale for his many readers/reviewers including James Mattis, David Petraeus, Henry Kissinger, and many other prominent Americans not to mention review boards and other authors. 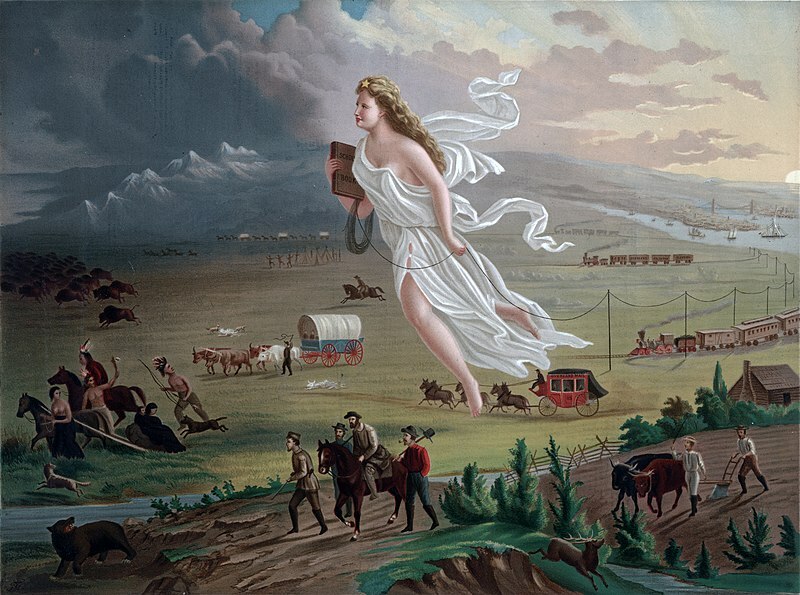 This entry was posted in American Culture and tagged American west, book review, geography, imperialism, manifest destiny, might makes right, military, pioneers, Robert Kaplan on February 6, 2019 by Denele Campbell.